Smokin' Joe's RV Park in Davis offers the ideal RV getaway. This RV campsite is conveniently located off I-35 but features wooded seclusion every camper will love. Enjoy a short walk to the nearby Washita River where swimming, fishing and hiking are popular activities. 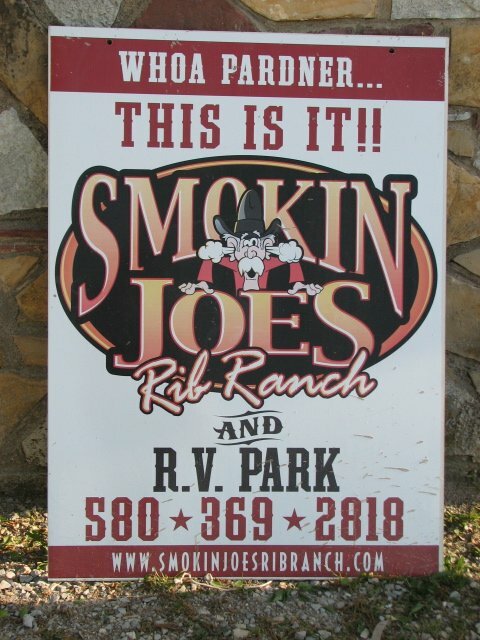 Smokin' Joe's RV Park is nestled in the Arbuckle Mountains and surrounded by some of the top natural destinations in the state. Located less than 10 minutes from popular outdoor recreation areas in the Arbuckle Mountains, RV campers who choose to stay at Smokin' Joe's RV Park will enjoy close proximity to natural beauty with modern luxuries. Enjoy site wifi, cable and a laundry facility at this park in addition to Smokin' Joe's Rib Ranch where you'll find some of the best barbecue in the state. Office open 9am-3pm Monday, Tuesday, Thursday, Friday and Saturday but RV park open 24 hours.